Over the next few years, Stop & Shop plans to roll out a new brand concept and shopping experience at its more than 400 stores across the Northeast. 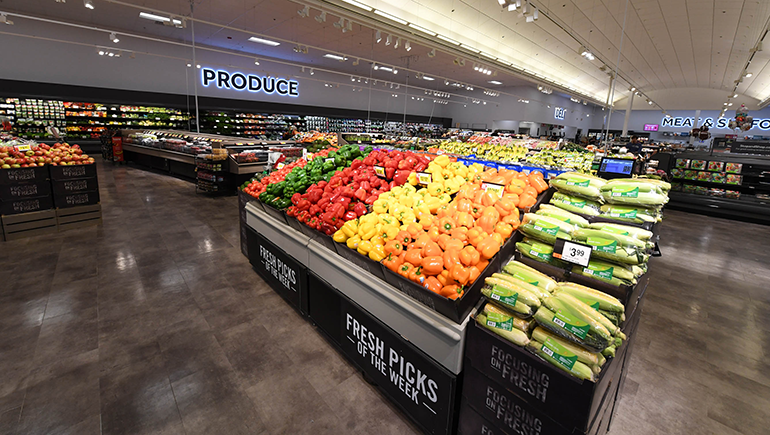 The Ahold Delhaize USA chain is launching the new look and store features at 21 supermarkets in the Hartford, Conn., area. 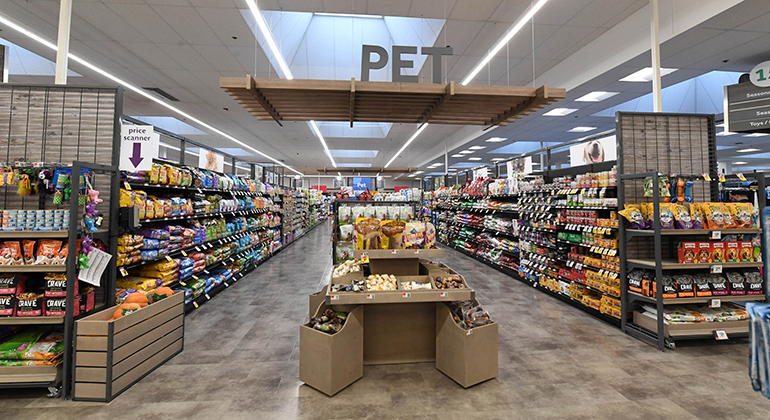 The company said Thursday that the refresh includes a modernized store format and a new logo that reflect a more customer-centric strategy based on convenience, particularly a wider array of fresh, fast, healthy and local food options. For Stop & Shop’s $70 million capital investment, Hartford will serve as a test market for such offerings as an in-store smoker, poke bowl and taqueria stations, and frictionless checkout. The chain said it’s also boosting the assortment of store brands, including the Nature’s Promise natural/organic label, and “investing heavily” to cut prices on thousands of items purchased most by customers. Updated signage will make it easier for shoppers to locate store departments and product categories. Stop & Shop said it has more than 3,000 employees in the greater Hartford area and, with the store upgrades, plans to raise the headcount by 7%. The remodeled stores will contain more space for fresh produce and locally grown items, such as apples from Rogers Orchards in Southington, beer from Connecticut brand Two Roads and coffee beans roasted right in Hartford. A smoker will offer meats including brisket, pulled pork and slow-cooked, hickory baby back ribs, and poke bowl and taqueria stations will serve up a range of global flavors for on-the-go customers seeking fresh, healthy meals. New in-store experiences are a linchpin of the format refresh, Stop & Shop noted. For instance, shoppers will be able to use self-serve machines to create their own olive oil and vinegar blends, such as fig-infused balsamic. They will also be able to fill up growlers at a kombucha fountain, or go to an informational craft beer kiosk to, for example, find out which food pairs best with a hoppy IPA brew, the retailer said. In addition, in-store cafes will have family-style seating that includes “community tables” made of reclaimed wood. Digital community boards will list local fundraisers and other events around town. Shoppers, too, can expect more convenience when paying for their items. Those shopping in stores using the Scan It! mobile app will find a frictionless checkout experience, with no waiting in line, Stop & Shop said. And for online and mobile grocery orders through Ahold Delhaize USA’s Peapod service, customers can drive up beneath solar-powered canopies to pick up their items. The company added that these orders will soon be assembled by a mini robotic warehouse under a new partnership with Waltham, Mass.-based Takeoff Technologies. Stop & Shop said grand reopening events, including special appearances by New England Patriots player alumni, are scheduled for all 21 Hartford-area stores at 11 a.m. on Friday. Overall, the chain operates stores in Massachusetts, Connecticut, Rhode Island, New York and New Jersey.